There are few tools more important to successfully marketing a business today than having a fully responsive website – one that looks as great on mobile devices as it does on a desktop. Zinman & Company P.C. realized this and recently turned to Manna Design Works for help. Manna was able to convert Zinman & Company’s existing website into a mobile-friendly WordPress site, and improve its functionality and overall user experience along the way. Zinman & Company provides top-quality services such as virtual controllership, full service accounting and bookkeeping. 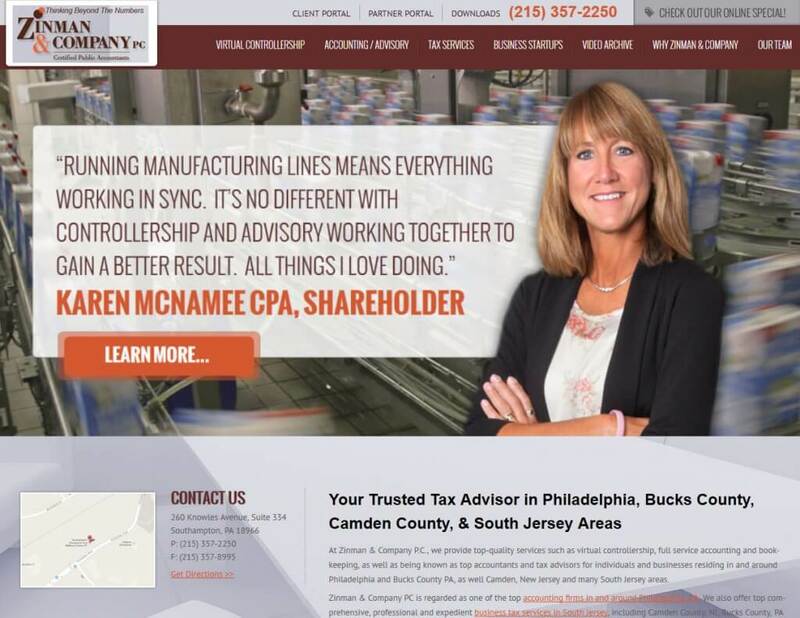 They are also well known as top accountants and tax advisors for individuals and businesses residing in and around Philadelphia and Bucks County PA, as well Camden and New Jersey. If you are looking for information on fully responsive, mobile-friendly web design and marketing, this post may be of interest to you.